We are a bit behind getting some of our “newly found” products online. 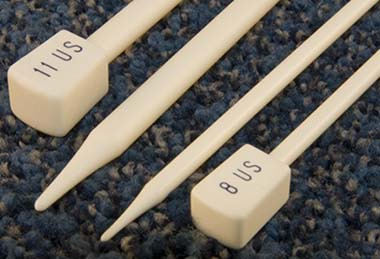 We told our newsletter subscribers that we found a shipment of Bryspun Knitting Needles in our storage area that was never unpacked, and we planned to get them on the website several days ago. We missed our target by a few days, but the entire Bryspun shipment is now online. We have many, but not all sizes of the double points and circular needles in stock. To see what’s available visit our online store. 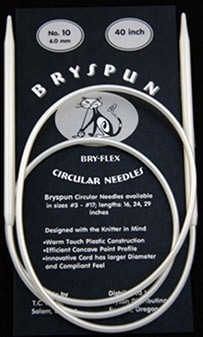 Apparently the Bryspun circular needles are now discontinued. So, if you like knitting with flexible needles, this is your last chance to buy this brand. I haven’t checked if the double points are discontinued or not, but the double points are still on the manufacturer’s website. We have learned that another company is making a similar circular knitting needle. 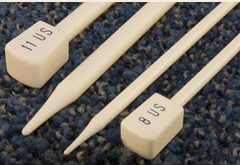 At this point I haven’t had an opportunity to look at the new company’s needles, but a quick check on this product indicates that they cost quite a bit more than the Bryspun needles do. For now, we will sell what we have in stock. In the future, we may bring in the similar product that is now sold, but nothing is certain. Because we have so many needles that we already stock, we may wait to add another line, especially since the new similar product cost more. We have a couple of terrific offers this month at Vintage Knits Wool Shoppe, so there is no need to leave your house for the best yarn sale. The more you spend, the more you save. Take an additional 20 or 40 percent off our already low prices. 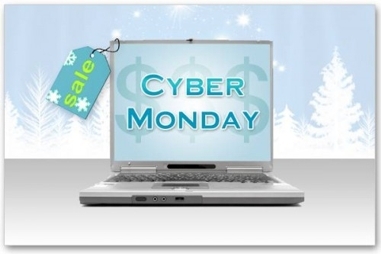 The sale is from November 23rd – December 1, 2015. We found three boxes that were never unpacked. Look for more Bryson and Brittany needles at our online store today or tomorrow. We also have a shipment of Green Mountain Spinnery Mountain Mohair that never made it to our online shop. These yarns should be on our website this week. If you are looking for Mountain Mohair before we get it online, feel free to email us for available colors. We just made an adorable knitted adult beanie out of two 50-gram skeins of Louet Gems yarn. The hat turned out lovely, and was very quick to knit. There are two versions, one ribbed, and one cabled. We will have the pattern available on our blog this week. If you need the pattern sooner, email us, and we can give you the directions for the hat. Check back later this week for new yarns, needles, and maybe a few new patterns if we have time.